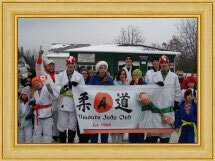 We are one of Almonte's longest standing recreational group, operating out of the Almonte Arena. 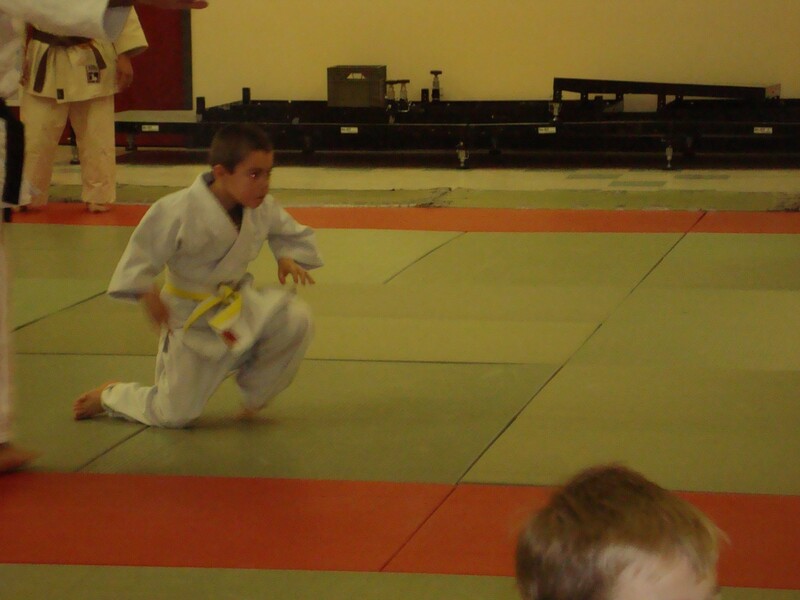 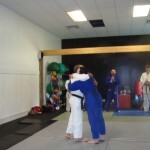 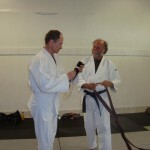 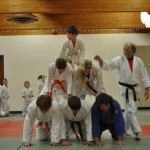 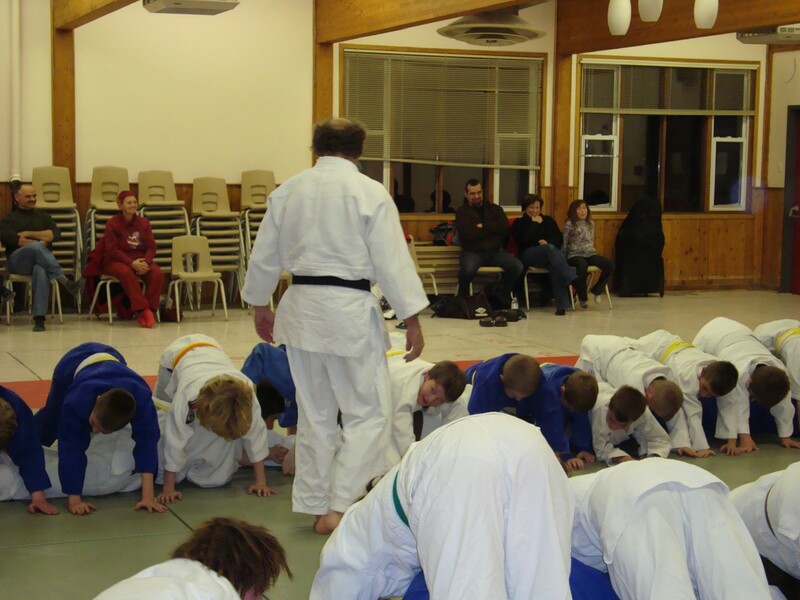 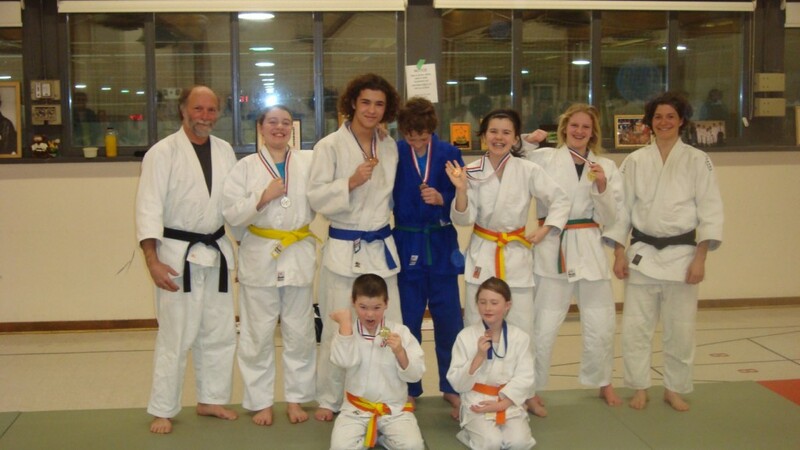 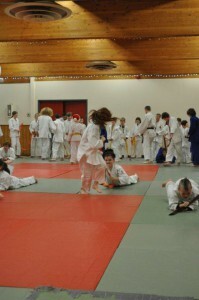 Our club consists of young and old and is run by long-time Judo enthusiast, Gord MacDonald. 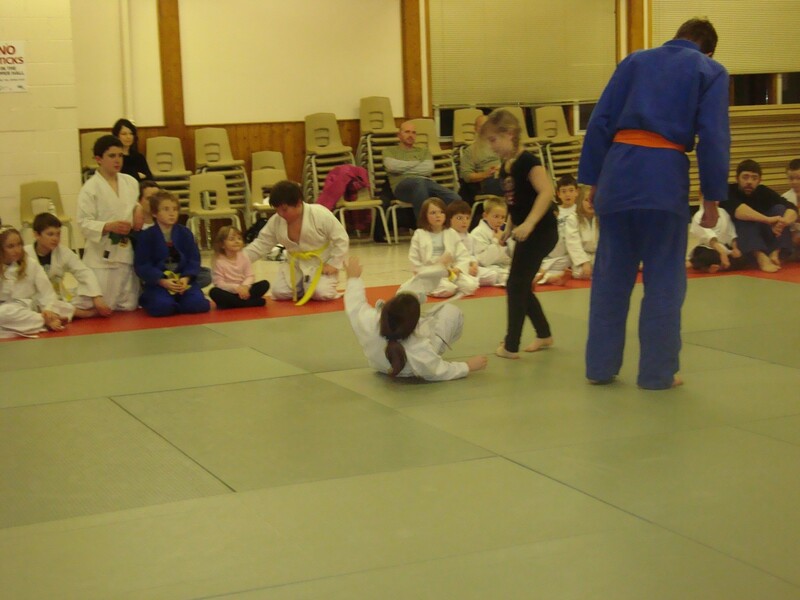 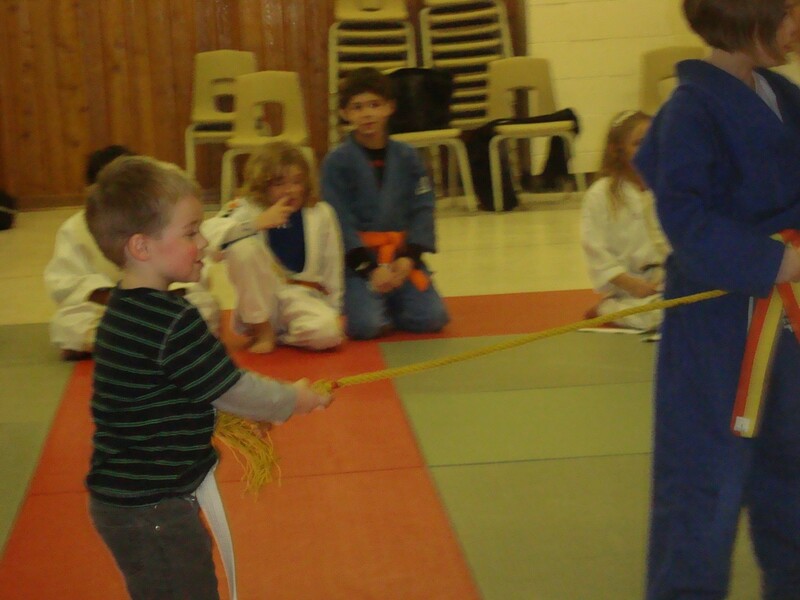 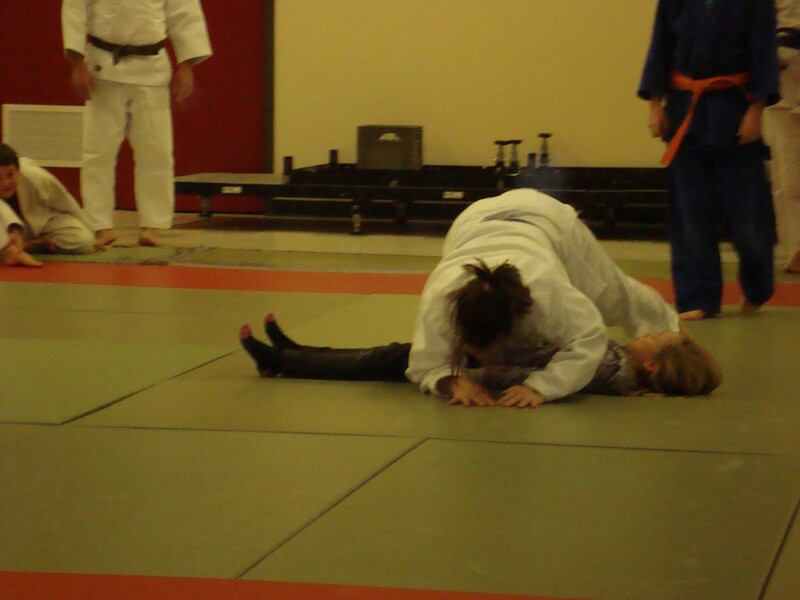 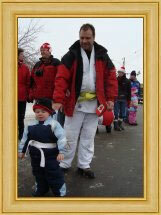 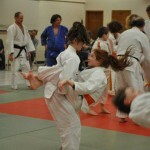 The Almonte Judo Club welcomes all ages to our mats... for a great way to keep fit, have fun and compete. 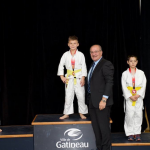 Almonte was well represented at the 1st annual Daniel Massie Cup, a judo tournament held Sunday, November 19, 2017 in Gatineau. 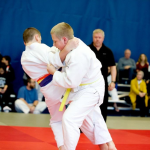 The Almonte Judo Club had a total of 8 competitors, 5 within the Junior Divisions, and 3 within the Juvenile/Senior Divisions. 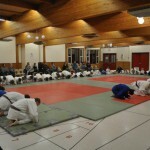 For Getson Hall, Casey Gayton, Matthew Burke and Mason Spinks, this tournament served as initiation to competitive judo. 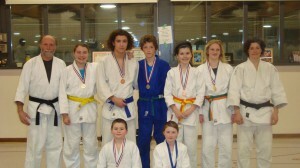 A very solid performance from all of our competitors amidst very tough competition. 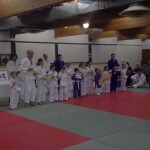 Congratulations to all !! 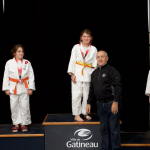 A big shout out to Dan Lafortune for all his efforts in coaching the athletes, and ensuring our younger athletes arrived at each of their matches in a prepared state. Kudos Dan ! 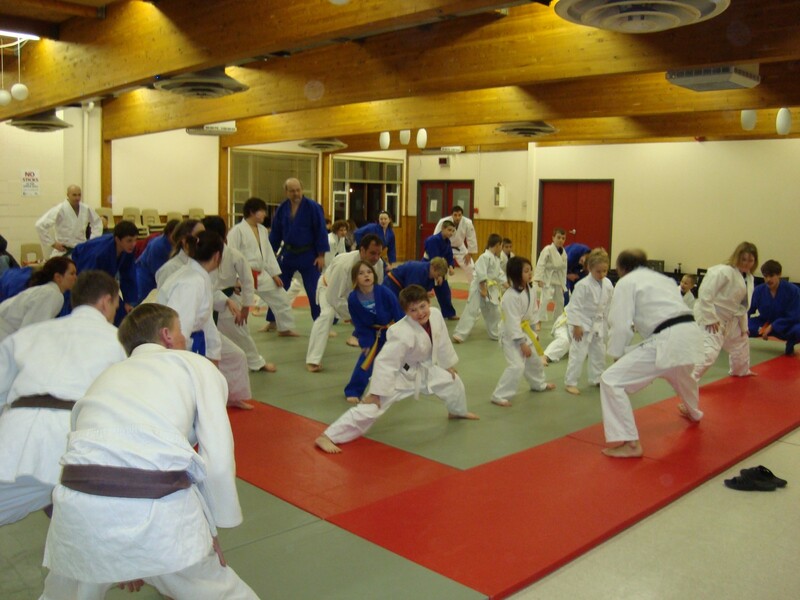 Family and friends gathered Wednesday April 26, 2017 in the Almonte Arena Hall to celebrate the accomplishments of Almonte Judo Club members over the 2016-17 season. 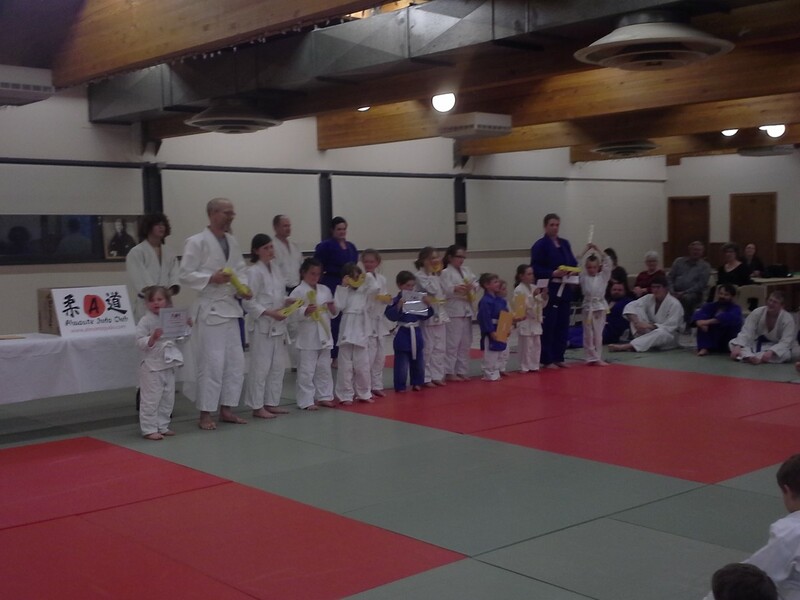 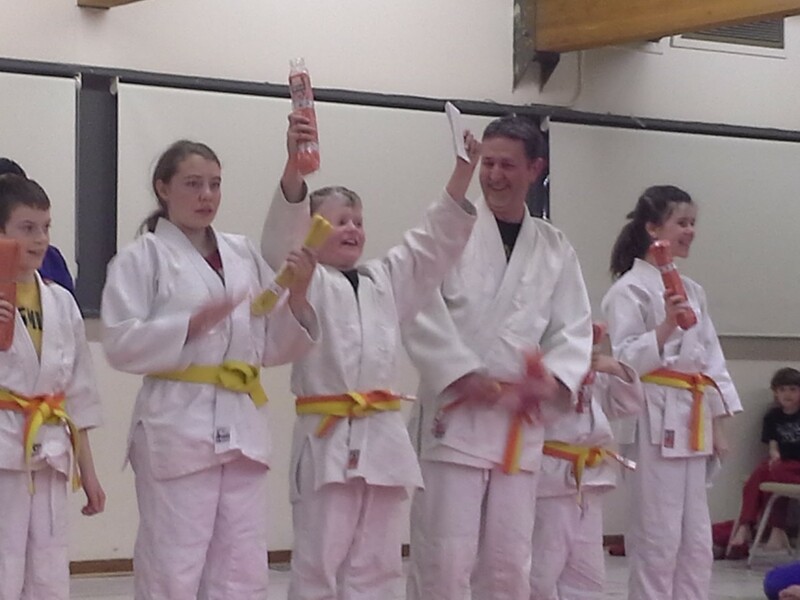 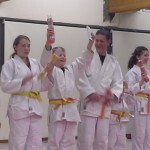 Congratulations to a total of 51 members earning belt promotions this season !! 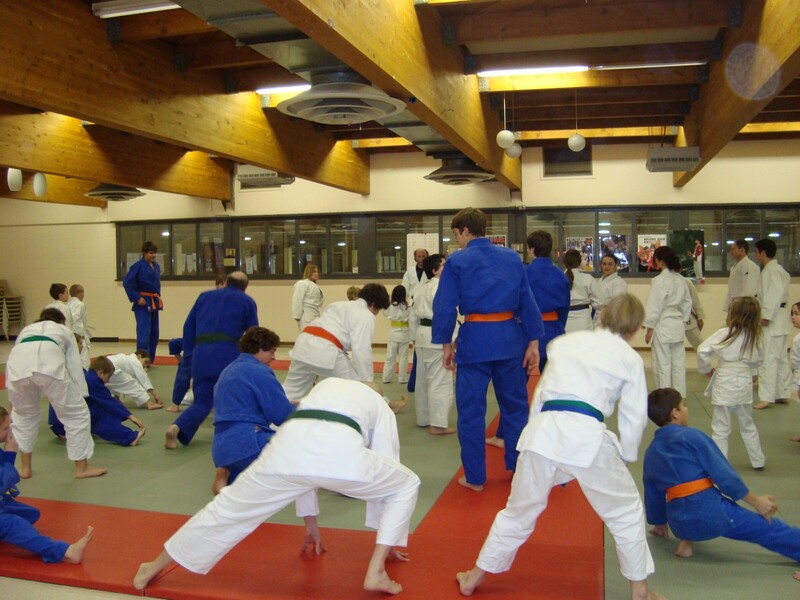 In addition to the above-noted members, several blue, brown and black belt members continue to train and work toward their next belt/Dan. 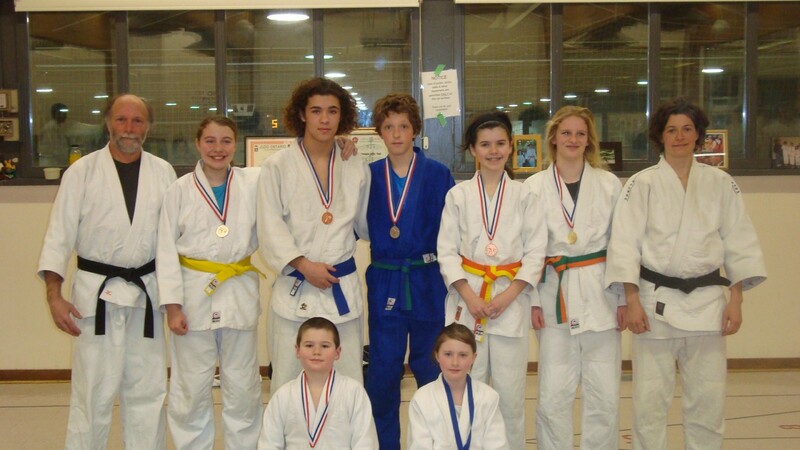 We congratulate each of them on a successful season as well! 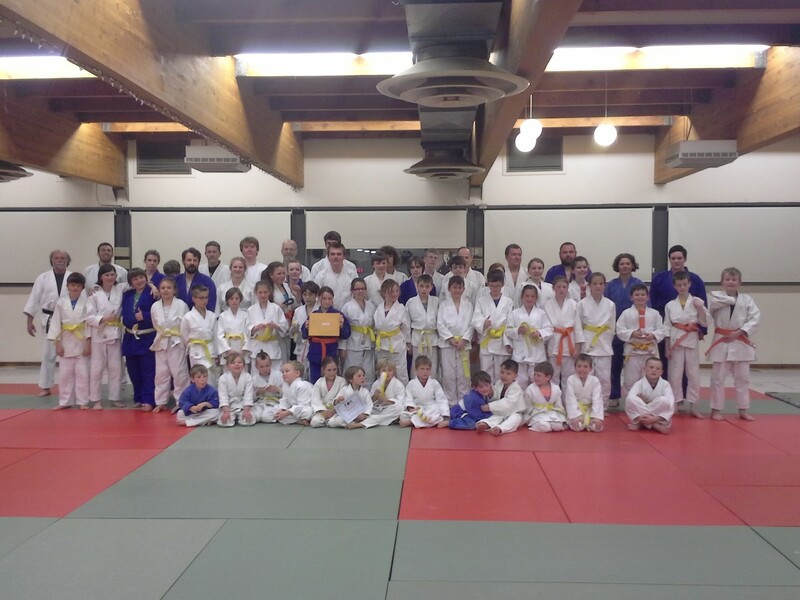 A number of students who achieved a perfect attendance record over the past season were also recognized with certificates. 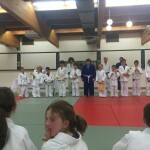 Congratulations to all certificate recipients for their dedication and perseverance throughout the year(s). 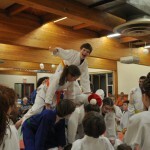 AJC Celebrates the Holiday Season !!! 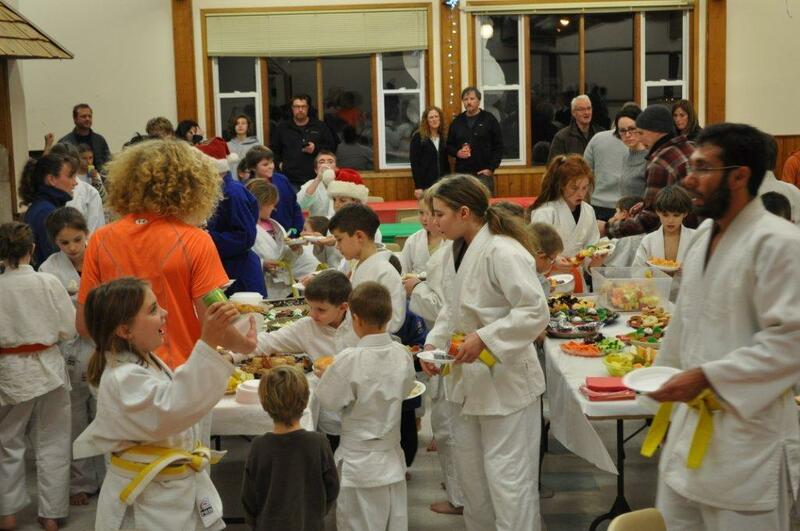 On Wednesday evening, December 16, Club members were joined by family and friends to celebrate the final class of 2015, and the arrival of the Christmas Season. 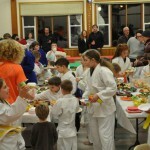 Following an hour of entertaining judo, festive treats and drinks were enjoyed by well over 100 people of all ages. 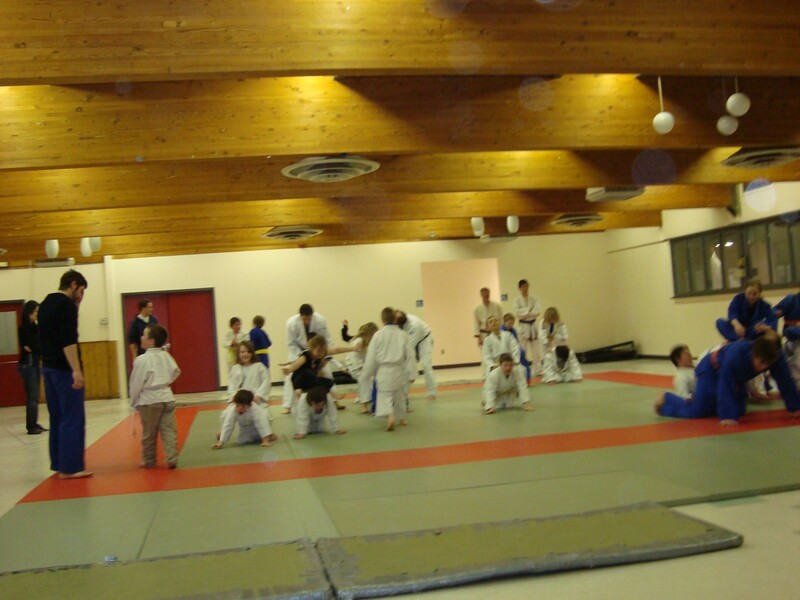 The Club took a well deserved 3 week break and returned for the start of a new session on January 6, 2016. 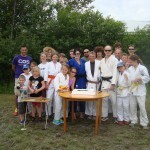 Perfect weather greeted more than 50 members, friends and family at Metcalfe Park in Almonte on Sunday August 16. 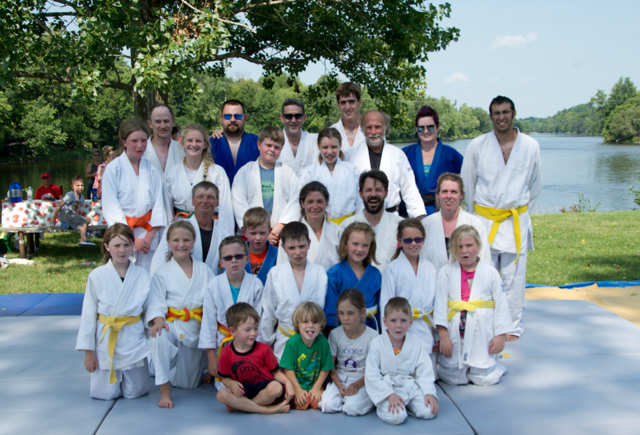 What a perfect way to end our 10th summer judo session. 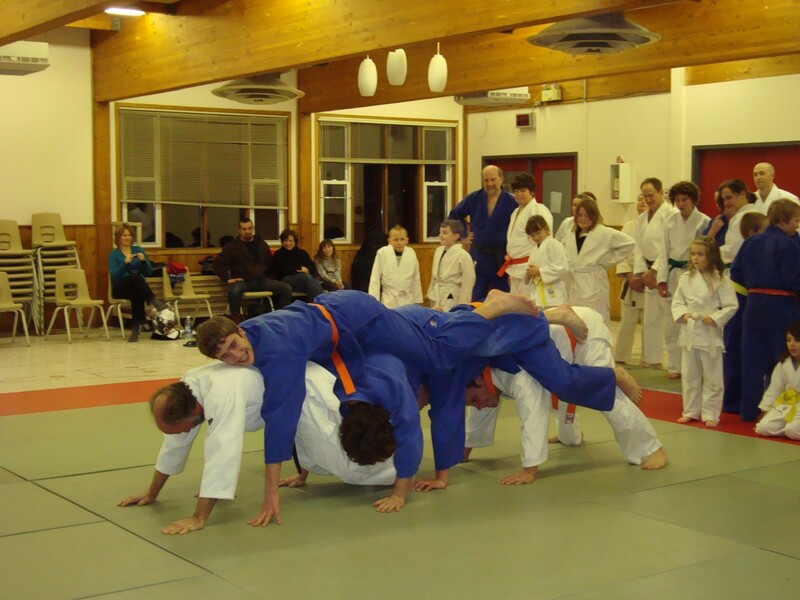 What started as a small group of keeners has now expanded to become one of the premiere summer judo programs in the region. 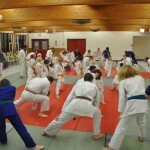 Nothing beats a fun outdoor session followed by a BBQ consisting of hotdogs, hamburgers, and steak !!!! 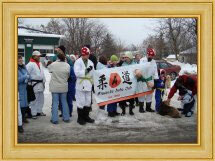 Thanks to the many volunteers who supplied food and assistance at this great event. 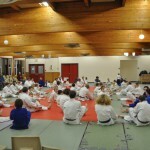 We take a brief 3 week break before returning for our Fall Session. 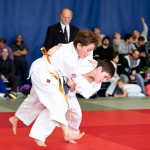 The new season promises to hold all the fun and excitement our Club is known for ….. and also introduces at least two new black belts, and possibly three ! 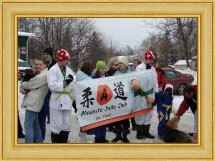 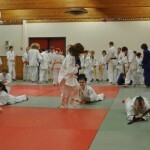 The Almonte Judo Club returns for it’s 48th season !!!!! 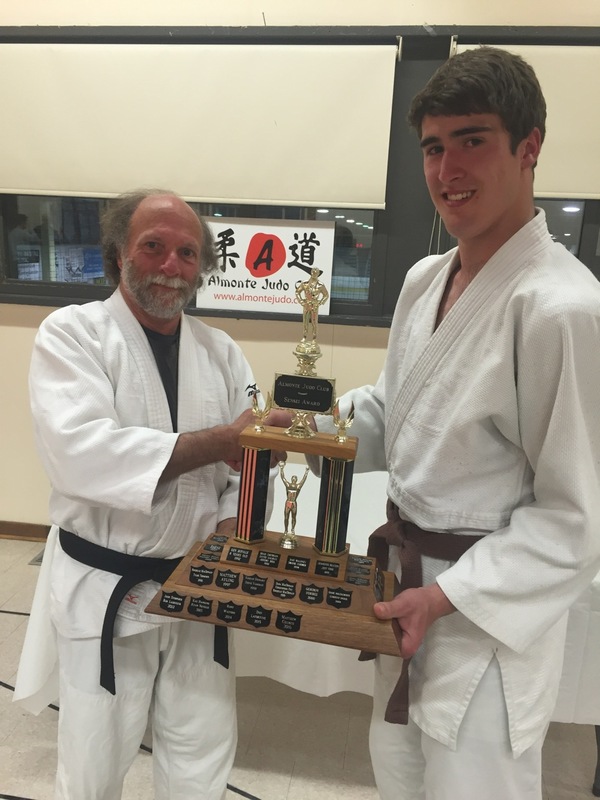 on Wednesday, September 9, 2015. 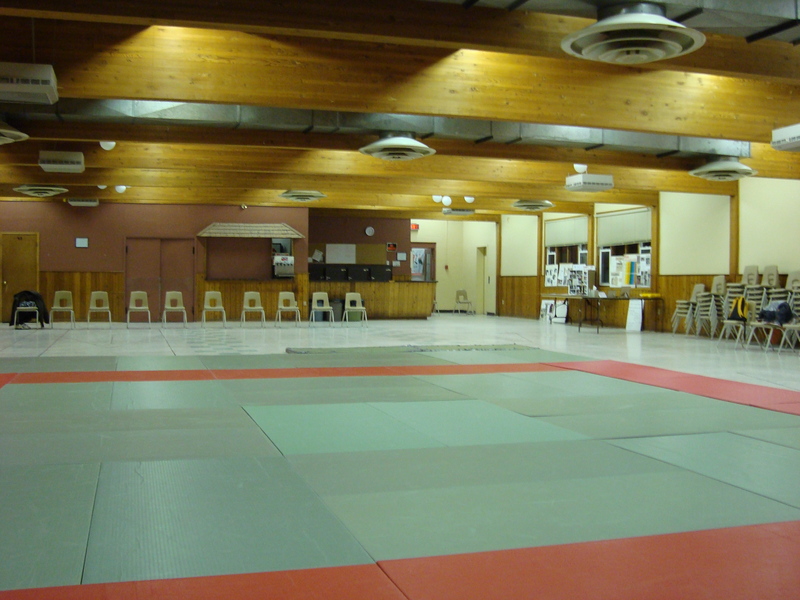 We continue to practice in the upstairs Hall of the Almonte Community Centre each Wednesday night, September through the end of April. 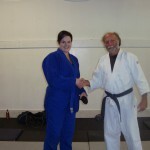 New members are always welcome!! 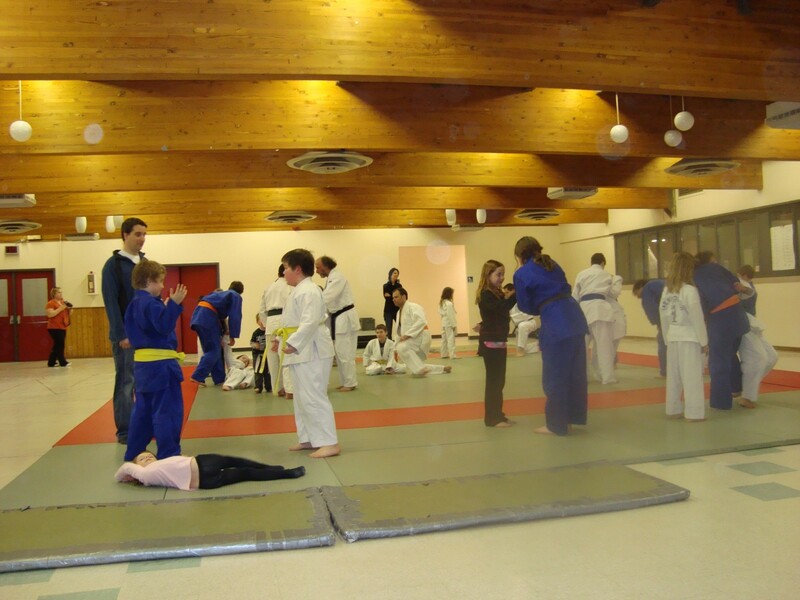 Come enjoy one of the finest Clubs anywhere – view from our comfortable seating area, enjoy free trial classes, or jump right in !! 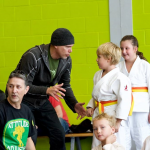 We are well established, very affordable, fully insured, fun, safe, friendly, and will provide you an element of challenge and fitness which fits your age and lifestyle. 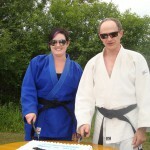 Two long time club members awarded Black Belts !!!! 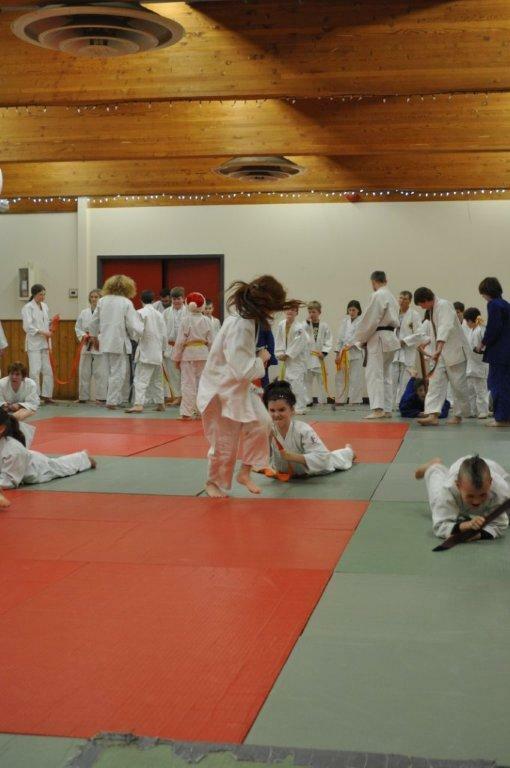 Tina Takahashi Martial Arts and Fitness was host to an East Region Grading on Sunday, June 7, 2015. 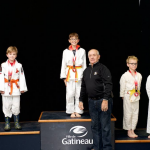 Several judoka from Ottawa, Ajax, Almonte and beyond were evaluated in front of a panel of high ranking judo officials from across the province. 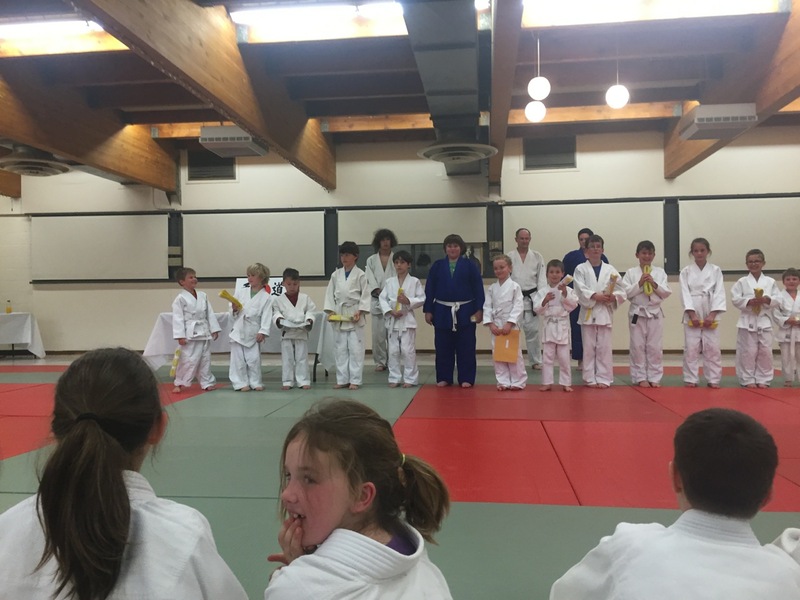 The Almonte Judo Club is proud to announce both Almonte candidates, Meghan Ladouceur and Ward Smith, were successful in their grading to Shodan !! 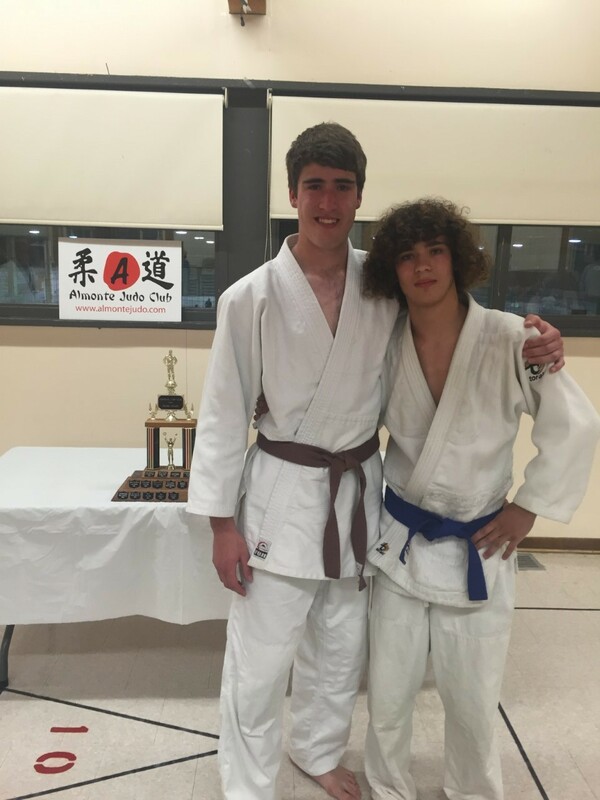 (1st degree black belt) This is a tremendous accomplishment for both club members, and follows several months of intensive training. Chenoa Marshall and Sebastian Kadoke-Scantlebury volunteered their time and bodies in the capacity of ‘partners’ for Meghan and Ward respectively. 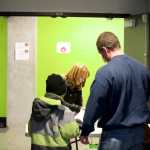 We are indebted to those individuals who unselfishly devoted so much time to ensure the readiness of both candidates. 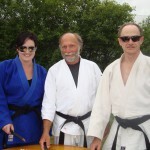 Meghan and Ward join existing black belts, Chenoa Marshall, Lena Vinogradov and Gord MacDonald to help form one awesome team! 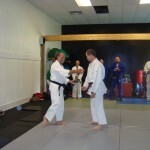 As Sensei, I could not be more proud to see the direction our Club is moving. 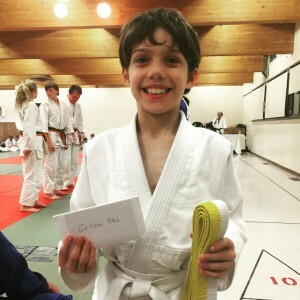 Exciting times for certain! 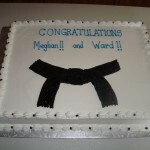 A celebration and gathering was held at the Almonte Fitness Centre on Sunday June 14 to recognize the success of Meghan and Ward. 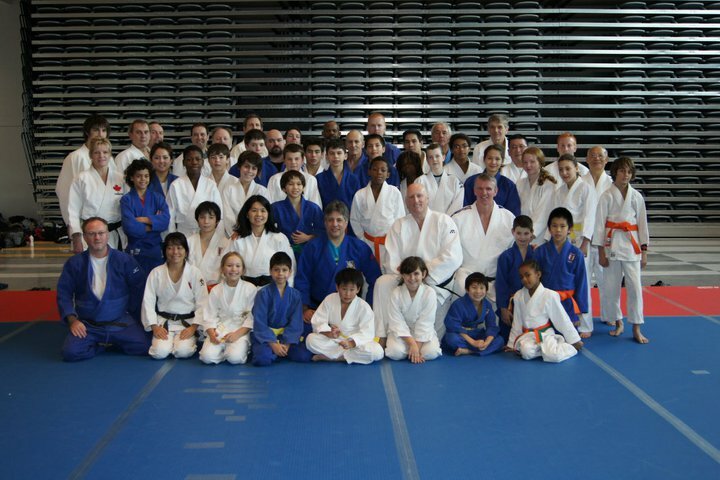 Thanks to all those who were able to attend. 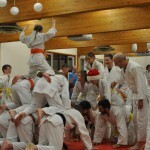 A great time was had by all, and we’ll let the pictures tell the story!